Hi, I’m Kayte, a spare time landscape photographer from the Bay Area. I’d say aerials are my favorite to shoot. I really enjoy the change in perspective. I first decided to try aerial photography in 2014. I booked my first doors off helicopter flight over San Francisco for that August, scheduled just before sunset. The day before my flight I discovered that my shutter dial was shot while at Pfeiffer Beach Big Sur. I had taken over 200,000 clicks on my Canon 40D! Rather than cancel my flight I decided to make do with the shutter as is. My sunset was nonexistent as it was overcast, but I still had a great time in the air and decided I would do it again sometime. Fast forward a couple months to November – I was visiting my friend in NYC for my birthday week and had booked my second doors off helicopter flight – this time over Manhattan! Armed with a new Canon 5D Mark III and a 24-70mm f/4L IS USM lens, I took the subway down from the Upper East Side to Penn Station, then the train from Penn Station to Linden, NJ, and then a taxi from the train station to the Linden Airport where my helicopter was waiting for me. I had scheduled my flight to be around sunset, and of course the sunset was nowhere as it was overcast again. This flight was so much fun and photographically much more successful than my first flight. 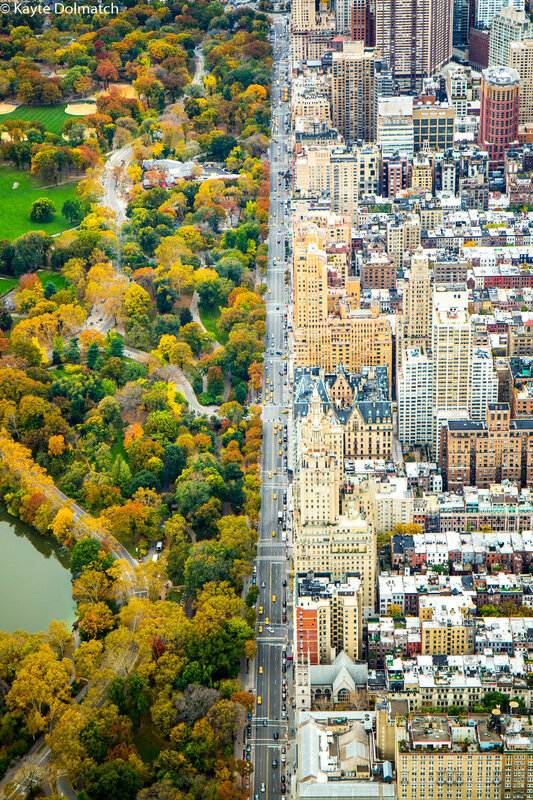 On this flight I took an image called “Divide” that distinctly shows the contrast between Central Park and the Manhattan architecture split by Central Park West. This image earned me Top Shot on National Geographic’s Your Shot platform, as well as Honorable Mention 2016 National Geographic Travel Photographer of the Year. It is published in the National Geographic Photobook “Greatest Landscapes” and it is also a 1,500 piece Ravensburger Puzzle! 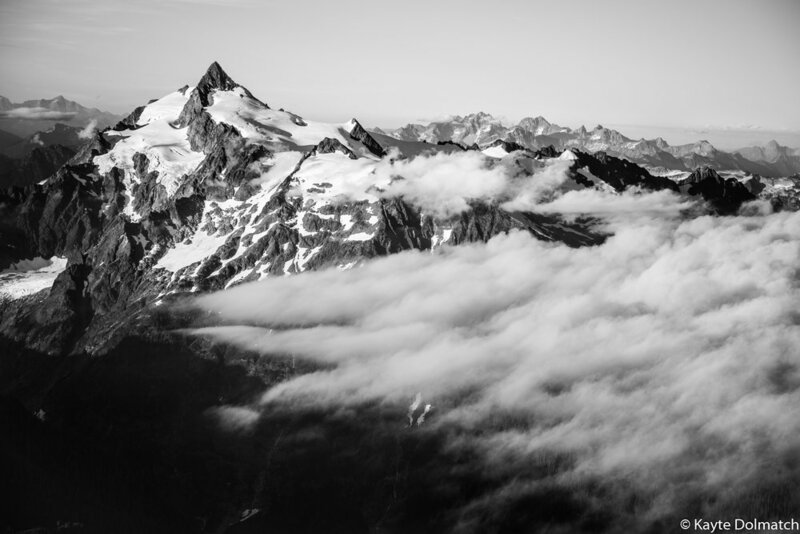 Nearly a year later I booked my third doors off flight over the North Cascades in Washington  it was my first time visiting Washington, and I was stoked to explore the Pacific Northwest. It rained all 8 days I was in Washington, and I got rained out of being able to fly. Almost exactly a year after, August 2016, I got to fly doors off over the North Cascades, and it was breath-taking. I circled around Mt Baker and Mt Shuksan for over an hour and soaked up all the sunset had to show me. My favorite flight so far.